Are you disheartened with the ferocious competition for MBBS admissions in India, then MBBS in Ukraine can be an admirable option for your medical career. With a booming education system and high-quality medical education, Ukraine provides all the MBBS aspirants, a phenomenal opportunity in Ukraine. 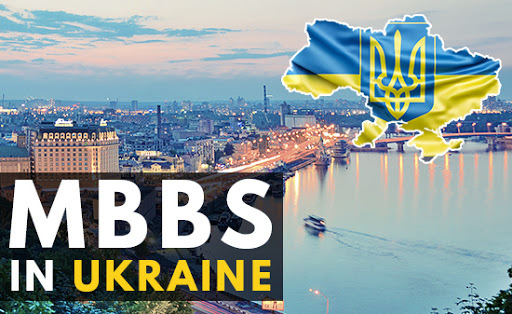 Ukrainian universities/institutions welcome students from all across the globe not only to study MBBS in Ukraine but for the other medical degrees as well such as BDS, MD, MS , MDS and many others. Being a home to thousands of international students, Ukraine is gaining popularity among Indian students especially as it offers top-notch education at reasonable price, which is a main concern for students as well as their parents in India. MBBS in Ukraine allows the students to gel up with the other diverse societies from all across the globe. Erudition of students in Ukraine is not constrained to the classrooms, labs, university campus only, there is much more outside for their refreshment and knowledge. Students will really enjoy their studentship in Ukraine as the country is itself has a variegated population, arresting scenic beauty and moderate climatic conditions. 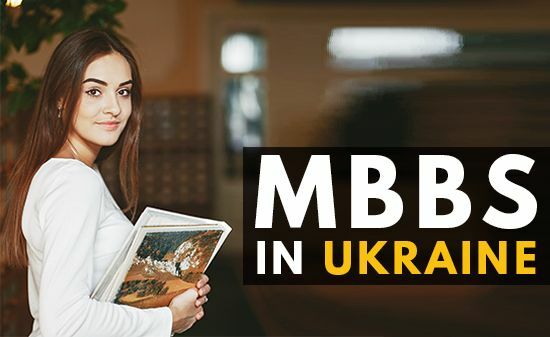 Reasonable tuition fees, affordable living cost, leading technology, extrusive faculty members, and approachable admission procedure in Ukraine, are some of the alluring reasons for choosing Ukraine as your MBBS study destination. World’s leading medical scientists/doctors, enters the various lecture halls and wards of hospitals to give an insight of their knowledge and shares their practical experience to numerous students including of foreigners from more than 60 countries of the world, namely India, who study in various medical universities every year. Duration of the course is 6 years and all courses are taught in English as medium of instruction. Eligibility required for entering to the degree is very much getable, that a student can easily fulfill. No English language proficiency test is required. Therefore,MBBS from Ukrainewill not let you to be shackled in your problems that are holding you back from chasing you dream of becoming a doctor. The decision is yours!! Ukraine is definitely the destination to be discovered as it is the largest country in Europe, which has borders with Russian Federation, Belarus, Poland, Slovakia, Hungary, Romania, Moldova and the Black Sea and Sea of Azov. Before 1991, Ukraine was a part of Soviet Union but in 1991, it turned into an independent country. Official language is Ukrainian and its capital is Kyiv, located in the northern part of the nation. It has moderately temperate continental climate except Southern Crimea, where the climate is subtropical, of the Mediterranean type. Best time to visit Ukraine is summers, late spring and early autumn. The aggregate population of Ukraine is nearly 46 million. It has the longest waterways in Europe called Dnieper, which is one of the republic’s primary wellsprings of hydroelectric power. The armed force of Ukraine is the second biggest armed force in Europe. Ukraine is thought to be one of the most secure spots of the world with the least crime rate. Ukraine consists of 6% of the world’s physicists, mathematicians, PC software engineers and other exceedingly prepares experts. As far as education is concerned, then we all know that Ukraine is becoming a hub for international students especially Indian students. They don’t only enjoy their tenure of being a student but also the diversified culture of Ukraine, mesmerizing landscapes and much more fun activities. For the students, Ukraine comes at the best affordable destination in the world. All the students graduating from Ukrainian institutions will definitely have a bright medical career whether after returning back to India or practicing in some other country. If they decide to practice in India, then firstly they have to appear for the licensing exam FMGE or NEXT, whichever is ubiquitous at that point of time. All they need to score is 50% marks, which is quite achievable for them as it is not a competitive exam (without negative marking). In case students want to practice in abroad countries only, then they have many options in the authorized hospitals having collaboration with their University. 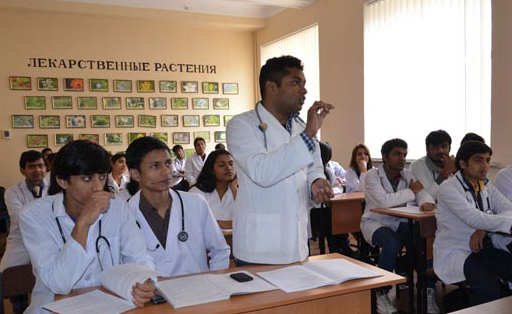 Nothing can stop students to practice their medical career in India or any other country after having Ukrainian MBBS degree as nowadays almost every medical center/hospitals are inviting fresh graduates from Ukrainian medical institutions. Tuition fees for General Medicine program in Ukrainian universities can vary from 3500 to 5000 USD$ in English medium, and vary from 2500 to 3500 USD$ in Ukrainian medium. * HOSTEL6 KNMU LIMITED SEATS-need to confirm in advance. * Hostel knmu number 5- compulsory with yearly mess of 1300$. * Karazina hostel and hostel 4 knmu- compulsory one month mess of 200$. * It’s compulsory to live in hostel for first year. * student can avail residence permit for 6 years at once- approx. –expense 650-700$ extra. Alternatively, student can pay 250$ every year for medical insurance. * package does not include medical insurance. The procedure for admission for MBBS in Ukraine in any top medical university is very simple and easy. Eligibility for getting admission in MBBS in Ukraine for Indian Students, as given by Medical Council of India, is 50% marks in Physics, Chemistry and Biology in aggregate in class 12th. For reserved category candidates, it is 40%. The eligibility certificate is a legal proof given by the MCI that the medical university, which the student attends to study MBBS abroad is authorized by the medical education regulator. The MCI has now made it very clear to the students opting to study MBBS in foreign universities that they will have to clear their NEET examination even if they want to study abroad. To clear the NEET exam, a student needs to score a minimum of 50 percentile for general category and 40 percentile for reserved category. This condition will be mandatory for the students from 1st June, 2018 onwards. The student shall complete the age of 17 years on or before 31st December of the year of admission to the MBBS course. The student should have obtained 50% marks in aggregate in Physics, Chemistry and Biology in the 12th standard examination. For Backward class (SC/ST /OBC) students, aggregate of 40% in Physics, Chemistry and Biology will be considered. The applicant should have obtained a MBBS degree/BDS degree from a recognized Medical or Dental college/university. The applicant should have completed one year of Internship and obtained permanent/temporary registration from Medical Council of India (MCI) or Dental Council of India (DCI).